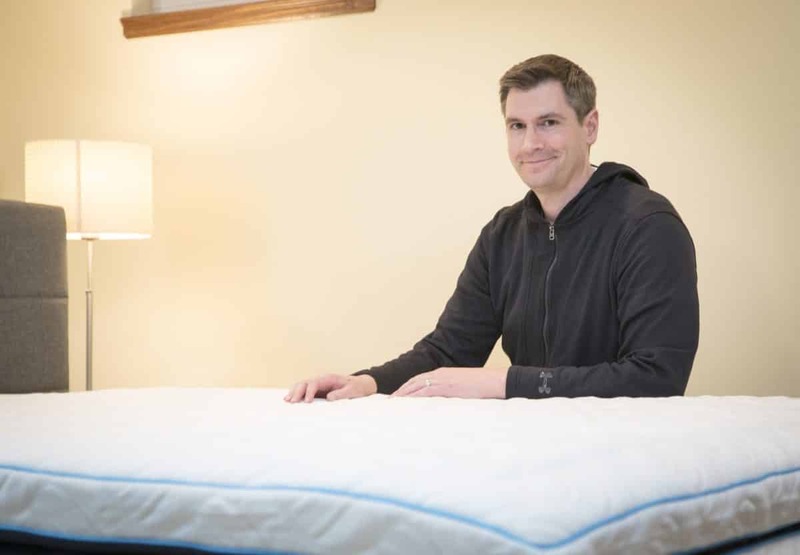 Recently I caught up with my fellow mattress reviewer, Ben Trapskin from the Sleep Sherpa! I really enjoyed this interview because very few people know the glory and pain of reviewing mattresses day to day. Make sure to check out his review site as well before making your mattress decision! How did you get into the mattress review business? I think I was destined to review mattresses and anything related to sleep. I remember when I was a kid I had mono and had to rest at home for two weeks. Lots of lying in bed, sleeping, napping and watching shows. Not sure if I ever recovered from that! Fast forward a few decades later, my wife and I wound up going through 4 different mattresses in 3 years. I heard from friends with similar experiences and frustrations. Finally, a few years back I was having trouble falling asleep and needed to seek out professional help. During that time I realized just how important sleep is to physical and mental health. I started sleepsherpa.com as a way for me to journal sleep research and the sleep industry. As the site grew, companies asked me to review their products which made the site what it is today. What’s the worst part about reviewing mattresses? Mattresses aren’t small so moving them in and out of the house can be a workout. My kids enjoy jumping on the beds but since we don’t have any spare bedrooms, it can make the house a little cramped. What do you do with them once you’re finished reviewing them? At first I started selling them to friends and neighbors. Now I mostly give them away to people that need a new mattress. Do you run Sleep Sherpa full time? I just started Sleep Sherpa full time in May of 2016. Before that I had been a librarian for 13 years. I had no expectation of this turning into a full time job but I love it. What do you tell people your job is? I’m still working on that one. Sometimes I say I that I’m a mattress salesman and that shuts down the conversation quickly. What I think the sites does well is to guide people to the right products for their particular need in order to avoid frustration. What’s the best response people have when you tell them? When people probe me enough and realize I get to test mattresses and pillows, they think it’s a “dream job”, pun intended. Some of my wife’s friends now only refer to me as the Sleep Sherpa. Does your wife approve of your mattress habit? What mattress do you sleep on in between reviews? I haven’t had a permanent mattress for a while now. There are a few that I would like to have on a more permanent basis. I really like Nest Bedding products not only for their quality but the owner, Joe Alexander, is constantly working to improve his offerings. What are you excited about in the industry? Sleep is becoming trendy and I think the more awareness about the importance of sleep the more innovation will occur in the space. We are already seeing some new types of mattresses such as Purple coming out that are making people rethink what their mattress can do. What are the funniest questions you have gotten from your readers? Back when I was starting out, I had a couple from Hawaii who were hesitant to buy a mattress online. They were interested in a mattress that I still had at my house so I offered to do a video chat where I would demo the bed. They asked me to jump and roll around on the bed to see how it reacted. It was a little awkward but they ended up purchasing the mattresses and loved it. I was happy to go the extra mile and they were impressed with my dedication. What’s next for Sleep Sherpa? I have lots of ideas in store for the site. As time allows I will be introducing some more ways to test mattresses and look to build awareness of the importance of sleep. There’s still lots of work to do! Visit my mattress reviews page for more mattress information.